A carousel and skate park were the two most popular specific items identified by the public at the land use meetings for Mud Island River Park. At the Project for Public Spaces workshop on the Memphis riverfront, attendees also suggested moving the carousel to the riverfront, possibly to Confederate Park. Based on their experience, PPS saw the carousel as "a great addition to downtown." 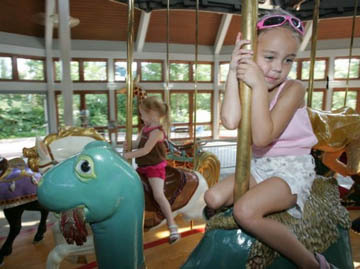 Click HERE for CA story on Chattanooga carousel.